Keep your workers & operators safe on the job. 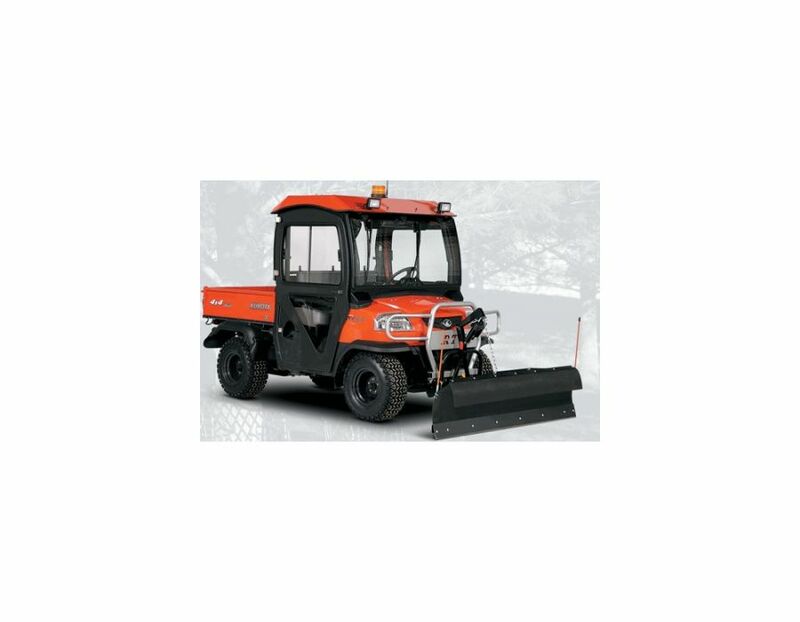 The V4211 Cab has a certified FOPS canopy, a great match to the RTV900 certified ROPS. The V4211 hard sided doors offer sliding, locking, windows for your convenience. 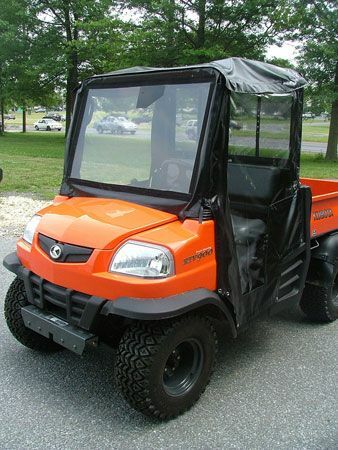 Built for the RTV900 Series Kubotas, this RTV V4211 Steel Cab allows you to keep your workers and operators safe on the job. 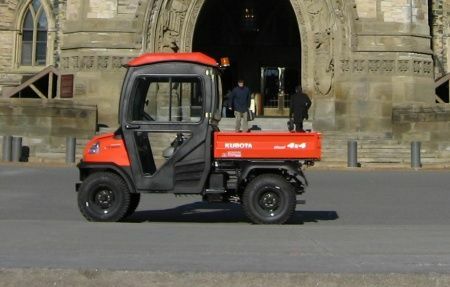 The V4211 Cab has a certified FOPS canopy, a great match to the RTV900 certified ROPS! FOPS Certified Canopy - Keep your workers and RTV operator safe on the job. 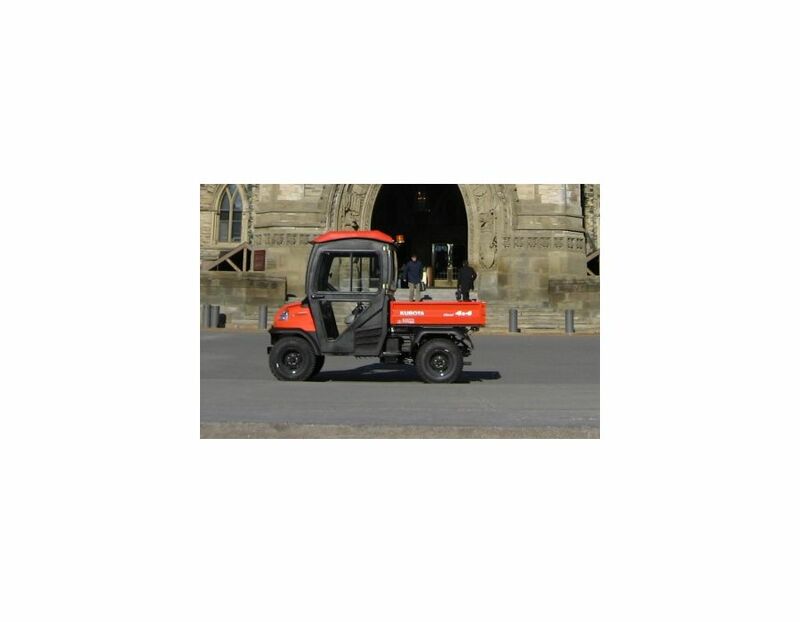 The V4211 Cab has a certified FOPS canopy, a great match to the RTV900 certified ROPS. 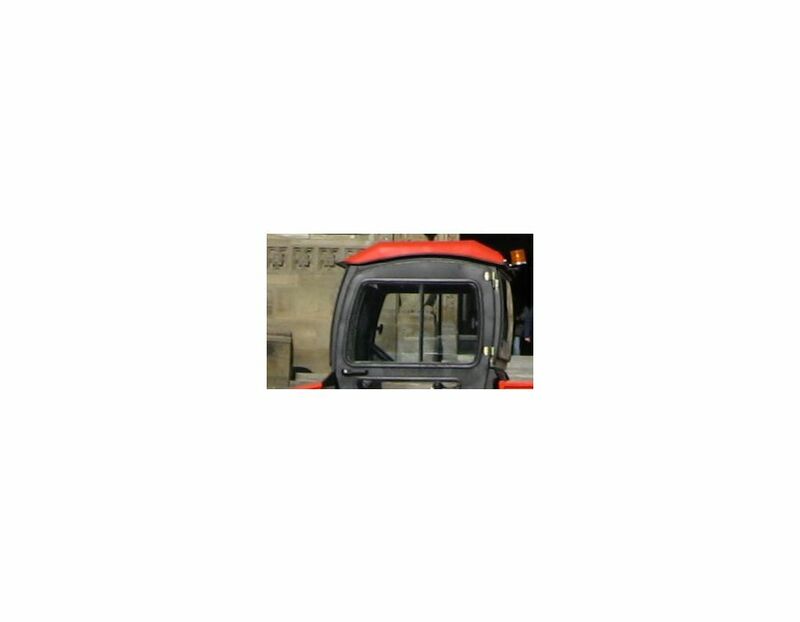 Glass Windshield, Acrylic Rear Window - The V4211's front windshield is glass to prevent scratches and give the durability required of a worksite vehicle. The rear window is acrylic as a safety precaution against unintentional objects against the rear window. 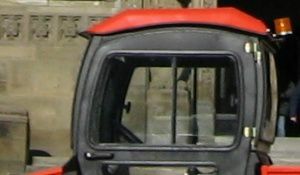 The rear RTV900 steel screen remains in the cab as a secondary safety precaution. Sliding Door Windows- Pull alongside the crew and slide the door window open. The V4211 hard sided doors offer sliding, locking, windows for your convenience. 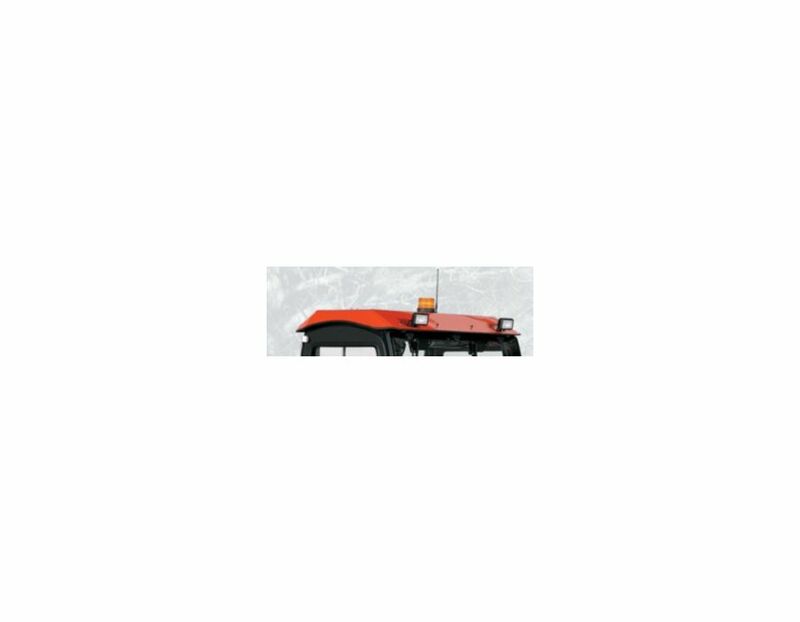 Optional Accessories - The V4211 Hard Sided Cab has a lot of accessories to assist your productivity. Select from optional wipers, console kit, work lights, rear lights, cab mirrors, rear view mirrors, strobe lights, and of course the heater. 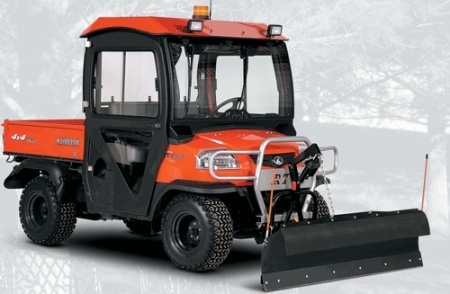 The RTV V4210 Orange Cab is available at Kooy Brothers, located at 1919 Wilson Ave., Toronto, Ontario.